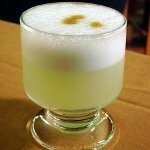 On the first Saturday in February, Peruvians celebrate National Pisco Sour Day. The holiday is dedicated to one of the most popular alcoholic cocktails that have originated from South America. Peru and Chile both claim the pisco sour as their national drink, which has made the cocktail a significant topic of Latin American pop culture. Pisco is a type of grape brandy produced in both Peru and Chile, although using slightly different methods. The most popular cocktail is the pisco sour. Its name comes from the cocktail’s base liquor, pisco, and the cocktail term sour (a sour is a mixed drink where a base liquor is complemented with citrus juice and a sweetener). The pisco sour was invented by the American bartender Victor Vaughen Morris. Morris moved to Peru for work in 1904 and opened his own bar in Lima about a decade later. However, the modern Peruvian recipe of the Pisco Sour was created by Morris’s apprentice Mario Bruiget. The Peruvian pisco sour consists of pisco, lemon or lime juice, syrup, egg white, a dash of Angostura bitters, and ice. The Chilean version is made with Chilean pisco and doesn’t contain the bitters and egg white. Peruvians consider pisco and the pisco sour a source of pride and even celebrate special holidays dedicated to these drinks. National Pisco Day is observed on the fourth Sunday in July, and National Pisco Sour Day falls on the first Saturday of February. Pisco Sour Day was officially created in 2003 by the government of Peru.